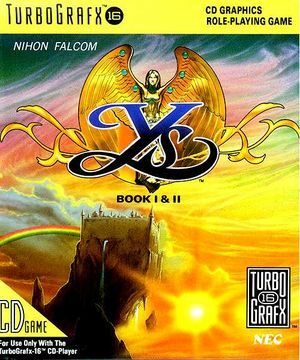 Ys Book I & II known in Japan as Ys I & II (イースI・II Īsu Wan Tsū) consists of enhanced remakes of the first two games released in the Ys series, Ys I: Ancient Ys Vanished and Ys II: Ancient Ys Vanished – The Final Chapter. It was one of the first video games to use CD-ROM, which was utilized to provide enhanced graphics, animated cut scenes, a Red Book CD audio soundtrack, and voice acting. The game's English localization was also one of the first to use voice dubbing. The graph below charts the compatibility with Ys: Book I & II since Dolphin's 2.0 release, listing revisions only where a compatibility change occurred.